Owning a dog that is prone to stomach troubles can be difficult. Not only is it a lengthy process to determine which ingredients cause your dog gastrointestinal and skin distress, but food allergies can lead to messes in the house and a miserable animal. However, finding the proper food for your sensitive pet can drastically improve your – and your dog’s – quality of life. Listed here are five of the best hypoallergenic dog foods. Royal Canin is well-known for engineering the very best dog foods for specific needs, and the Royal Canin HP Hypoallergenic blend is no different. All of the protein molecules in this food have been hydrolyzed, meaning they are unable to trigger an allergic reaction from the dog’s immune system. This feature makes Royal Canin HP the perfect formula for diagnosing food allergies, as it allows for the elimination diet to be strictly followed. For dogs with severe food allergies, this formula is suitable for everyday use, as well. Overall, Royal Canin HP is easily digestible and contains omega fatty acids for reduced inflammation and improved skin and coat. Chelated minerals are easy to absorb, which is necessary for dogs with stomach troubles. Like Royal Canin, Purina HA Hypoallergenic dog food contains hydrolyzed proteins that will not react with a dog’s immune system. In addition, this formulation is completely vegetarian yet still provides adequate protein for your dog. Like the Royal Canin brand, Purina is among the most trusted in the prescription diet industry, thanks to decades of canine nutritional research. In addition to use for dogs with food allergies, Purina HP Hypoallergenic is a great food source for dogs with pancreatitis, inflammatory bowel disease, and dermatitis. For picky dogs, this food is also available in canned varieties. Some of the top food allergens for dogs include beef, chicken, and pork. The main protein ingredient in Purina Pro Plan Focus is salmon, which is beneficial for animals that suffer from common protein allergies. Additionally, this food contains no wheat, with the primary carbohydrate sources being rice and oatmeal (two ingredients that are easily digestible). Other benefits of Purina Pro Plan Focus include the addition of zinc and omega 6 fatty acids that support the immune system, reduce inflammation, and promote a healthy skin and coat. If you are searching for a hypoallergenic brand that has a single protein source and is free from many common allergens, look no further than Purina Pro Plan Focus! The Hill’s Science Diet brand, which is commonly found in veterinarian’s offices, is dedicated to helping dogs feel better through quality nutrition. The ingredients in the Hill’s Science Diet Adult Sensitive Stomach and Skin dog food are designed to improve your dog’s energy level and coat condition while soothing upset stomachs and skin problems. While not recommended as a base for the elimination diet (Purina HA or Royal Canin HP would be best for this purpose), the Hill’s Science Diet Adult Sensitive Stomach and Skin dog food is perfect for the dog that cannot tolerate rich foods. Chicken and peas are the main protein sources, while rice, sorghum, and barley provide carbohydrates. This food is loaded with vitamins, minerals, and antioxidants from fruit and vegetables, which supports immune system health. Are you sabotaging your dog’s elimination / hypoallergenic diet by feeding treats that contain known allergens? You can avoid this problem by purchasing hypoallergenic treats, such as Hill’s Prescription Diet Treats. Like the hypoallergenic foods listed above, these treats are made from hydrolyzed proteins that will not trigger an allergic reaction in your pet. Hill’s Prescription Diet Treats are low in fat and have an appealing flavor. Ultimately, it is important to remember that your dog’s new diet must be strict, as even the tiniest treat can result in itchy skin or an upset stomach! Basic obedience training builds the foundation for more advanced training, particularly for commands you will use in the field. 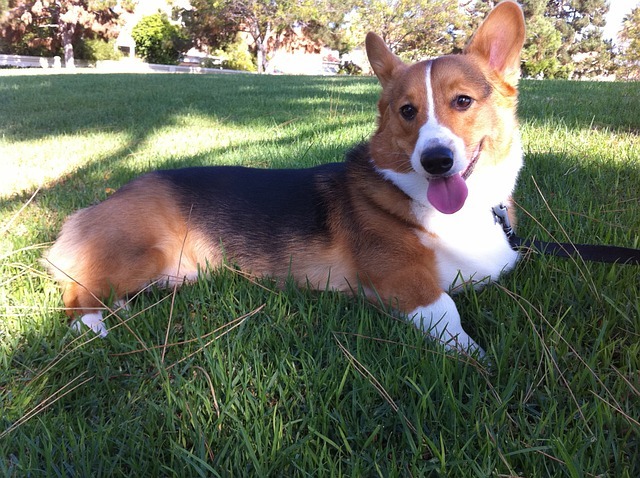 The big 4 that your dog needs to know, regardless of his or her purpose, are described here. Although a simple command, sit is the foundation for nearly everything you will teach your pet. What’s the difference between “here” and “come?” When your dog is at a distance, “here” will travel farther (and is easier to say) than its counterpart. To train “here,” start with a short leash and a flat collar. With a treat in hand, say “here” and encourage your dog to walk towards you using a combination of gentle pressure on the lead and the treat. Provide plenty of positive praise when your dog reaches you. Over time, use a longer leash or check cord before practicing in a yard or field. Your dog should walk next to you both on and off-leash, which is why the “heel” command is important. The traditional way to teach heel is with a choke chain. While out for a walk with your pet, give a quick tug on the chain to position your dog properly, with his or her shoulder in line with your knee. . The second way to teach heel is with a high value treat. When walking with your dog, hold a treat at your chest. Your pet will look towards the treat, which will naturally keep him or her at the proper position. If your dog gets ahead of you, redirect with a treat. In both instances, do not overlay the “heel” command until your dog is consistently walking in the proper way in response to your correction. “No” is an essential command, whether you use it to keep your dog from chasing the wrong game or from climbing onto the couch. One of the simplest ways to train “no,” is with the help of a treat. First, place a treat in your hand, show it to your dog, and then say “no,” as you close your hand around the treat. Your pet will likely lick and paw at your hand. As soon as he or she stops showing interest in the treat, provide praise. Continue this drill until your dog understands that “no” means the treat is withheld. As your pet progresses, increase the difficulty of the command. Place the treat on the floor and say “no.” Only praise your dog if the treat is ignored. Otherwise, quickly place your hand or foot over the treat and do not give it to your dog until he or she loses interest. Note: The above uses the aid of food/treats for training, formal training at Bull Valley Retrievers does not include the use of treats, other than a very few exceptions. Contact Bull Valley Retrievers for all breed obedience training help or for any of your dog boarding kennel needs. Dog parks are popular destinations for many dogs and their owners. However, these off-leash areas are not ideal for all pets or situations. Here, the good and bad points of dog parks are discussed in an effort to help educate dog owners. A dog park is an area where animals are permitted to roam off-leash. This can be a sanctioned dog park, such as one that is maintained by the city, or simply an area where dog owners gather with their pets to play. The benefits of taking your pet to the dog park are diverse. If you and your pet live in an apartment or are otherwise short on yard space, a dog park provides a wonderful opportunity for your pet to stretch his or her legs and exercise. In addition, dog parks are a great meeting area for both animals and humans alike, providing a chance for socialization. Unfortunately, there are a number of limitations when it comes to the dog park, many of which can lead to behavioral problems and general stress for both dog and owner. Aggression is a top concern when dogs are allowed unstructured playtime in an uncontrolled setting. There are many types of dog aggression, each of which is possible at the dog park. Dominance aggression can occur when two dogs struggle to determine their hierarchy over one another and the owners do not diffuse the situation accordingly. Dogs with different play and/or greeting styles can cause a dangerous situation. For instance, some pets prefer calm, drawn out greetings, while others have a tendency to immediately pounce on the nearest animal. When two differing dogs greet, the animal that prefers a more subdued introduction might snarl or snap in an effort to ask for personal space. This behavior, in turn, can be misinterpreted by the more energetic dog, leading to retaliation. Fear aggression can occur if a dog becomes stressed and uncomfortable at the dog park, but the owner does not step in and “save” the animal. If the signs of stress are not noticed (i.e. trembling, whale eyes, tail between the legs, appeasement behaviors), the next step a dog will take is to seek space by growling, snapping, or snarling. Over time, dogs can learn to default to these behaviors both at the park and at home when feeling uncomfortable. Everyone has seen – or even experienced – the owner at the dog park who tries to recall his or her dog, only to have the pet play a long game of keep away. The dog park can result in training regression in one of two ways. For instance, dogs can observe the bad behaviors of other pets, and then mimic those behaviors at home. In other instances, dogs will engage in bad behaviors, such as the game of keep away described above, which are inadvertently reinforced. For this reason, it is recommended to only take well-trained and reliable animals to off-leash locations. When dogs are in a pack of animals they can behave differently than they do at home. Resource guarding can become a real problem. For instance, your dog might view you as a resource, and become uncomfortable when other dogs draw near. In addition, balls, toys, or treats can cause undesirable behaviors to surface if your dog feels the need to protect them as his or her own. 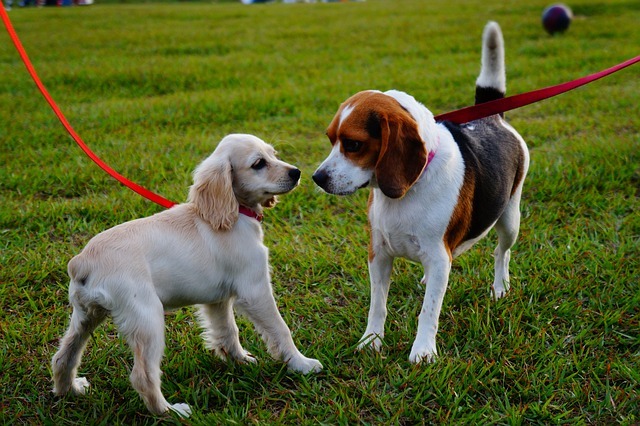 Allowing your dog to spend time with other animals off-leash is great for their socialization skills. However, it can also create problems. A dog that spends a lot of time at the dog park may not understand why, when walking on a leash, he or she is not allowed to visit other dogs that pass. This can create leash frustration, where the dog will lunge and bark out of frustration that he or she cannot say hi to a potential new friend. One reason that dog parks can be dangerous is because there is no policing of dog age, size, personality, or play style. Instead, all dogs fall into one large pack, even though they might not be compatible playmates. Therefore, a large, young, exuberant dog that plays rough might be intimidating to a small, submissive, senior dog that prefers calm play. Inappropriate playgroups can result in misunderstandings among dogs, and, ultimately, dogfights. The dog park is akin to an amusement park for children. However, when dogs enter into a state of sensory overload, they become overly aroused and unable to calm down. This arousal can lead to inappropriate and uncharacteristic behaviors, and ultimately a dog that is difficult to control. Finally, dog parks can result in physical and emotional trauma for your pet that can be difficult to overcome. When a dog has a negative experience – such as being involved in a fight – the animal might avoid dogs in the future. Reversing the trauma often involves a lengthy period of desensitization and training, which is both costly and frustrating. When choosing a dog park for your pet, there are a number of features you should look for in order to have the safest experience possible. All entrances and exits should have double gates for safety. The fencing should also have shielding that prevents the dogs already in the park from seeing other animals that enter. Dog parks should preferably have multiple entrances so that dogs do not congregate in front of a single entrance. The park should be at least an acre with multiple geographic features that reduce the possibility of dogs running at one another full speed. For instance, trees, hills, and lakes are all strategic components within a park. Agility obstacles or structures are also useful for providing scared dogs areas to hide. When taking your dog to the park, there are numerous ways to make your trip successful. Do not enter the park if a pack of dogs is congregating at the entrance, as this situation can make greetings and introductions tense. Watch your dog at all times, and interrupt your pet if his or her play style becomes too aggressive, hyperactive, or intense. If necessary, move around the park with the pack in order to provide utmost supervision. If your dog is showing signs of fear, anxiety, or is bullying other animals, pack up for the day and head home. Finally, leave toys and treats at home in order to avoid resource guarding issues. The above should be used for reference and the final decision is made by you, but I do not recommend taking your dog to any park of day-care as the potential for issues to arise to too great and hours of training can be washed down the drain. However, if you must, use the above guidelines to help with your visit. The first time you board your dog can be stressful. How do you choose the right kennel? What should you know before you drop off your dog? Will your pet forget you? The answers to these questions – and more – will be discussed below. Why Choose a Boarding Kennel? There are a number of considerations that must be made when choosing a boarding kennel for your pet. First, you must find a trusted establishment. A great way to start is by asking friends, family, or trusted canine professionals for recommendations. Look online for reviews or ratings, as well. Next, tour the facility. If possible, bring your dog so that you can see how he or she interacts with the staff. While exploring the kennel, keep the following components in mind: sanitation, safety, and supervision. Each dog’s sleeping areas should be clean and tidy, and there should be adequate ventilation such that no dog or cleaning odors are noticeable. Dog areas should be free of urine and feces, with every attempt made to clean up after messes are made. Safety should be a top priority for the kennel staff. Ask how emergencies are handled, including illness, injury, and natural disasters. During your tour, look for signs that verify the safety of the facility. Fences should be at least 6’ tall, dividers should be placed between kennels, and dogs should be supervised when outside of their enclosures at all times. Finally, meet with the staff and ask questions. Are personnel trained in First Aid and CPR? What is their experience with animals? 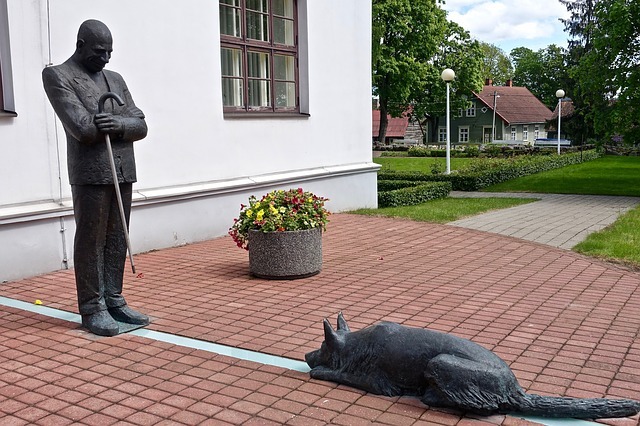 Do you feel comfortable leaving your pet with these people? Ultimately, trust your gut when making these decisions. Make sure your dog will be up to date on the necessary vaccinations at least one week before your pet is scheduled to be boarded. In addition, consider a flea and tick preventative if your pet is not currently using one as an additional safety precaution. If your dog has never been boarded before, or if the kennel you have chosen is new to your pet, consider boarding your pet for a short overnight stay before you leave for your trip. This will help your dog acclimate to the new environment. When you drop off your pet, leave an item from home, such as a favorite toy or blanket. Avoid lengthy goodbyes that could make your dog feel anxious. Don’t forget to leave emergency contact information in case the boarding kennel needs to reach you. When you board your dog – particularly for the first time – it can be hard not to worry about your pet’s well-being. It is important to remember that your dog is being cared for by professional pet lovers who are dedicated to putting the needs of your dog first. To set your mind at ease you can call the kennel once every 2 – 3 days to check in on your dog. 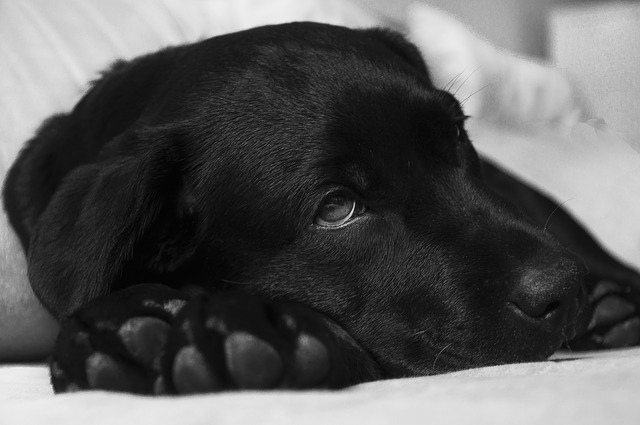 Another common anxiety that dog owners have is that their pet will not remember them, or will feel abandoned. If you are concerned that your pet will worry that you have left for good (a particular concern for dogs who were adopted from a shelter), leave an item with your scent such as a t-shirt or pillowcase. Rest assured that your dog will not forget you, even if you are gone for an extended period of time. Numerous studies have shown that dogs are able to remember their owners, even after years of not seeing one another. When you return from your trip and your dog greets you with hyperactive wiggles, your fears will instantly subside. The final step of your dog’s retriever training is the first hunt. However, there are many mistakes that can – and commonly are – made during this important occasion. Here, tips for your dog’s first hunt are discussed. One of the easiest mistakes to make is to hunt your dog too early. Oftentimes, hunters find that their dogs are retrieving perfectly in the backyard and, given the dog’s lineage and price tag, expect the animal to replicate this behavior prematurely. Instead of taking your dog directly to a new situation, such as a duck blind, go to a basic gun dog course when your pet is 12 – 14 months old in order to reinforce proper behaviors with simple commands. Remember that there are four stages of training: yard work, field work, transition work, and the first hunt. While many retrievers master yard and field work quickly, transition work is frequently lacking before the first hunt takes place. Transition work entails practicing all types of hunting situations your dog might encounter during that first experience. Here, hunters should anticipate problems in order to better hone their dogs’ skills. 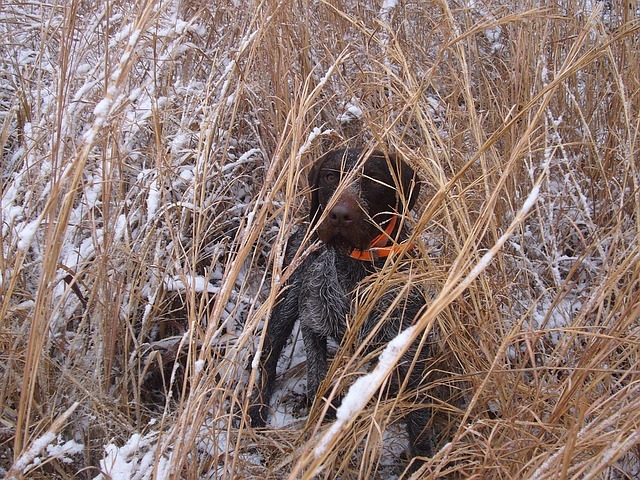 Even after your dog’s first hunt, it is important to continue with transition work any time you introduce your dog to a brand new hunting scenario. Ultimately, the best way to have your dog prepared for the first hunt is to think about the finished product when you start your initial training. By paying close attention to everything your dog might encounter and properly conditioning him or her to these scenarios, your dog’s first hunt will be a success.